I have to admit I discovered I’m a great starter and horrible finisher these days. Needless to say, it’s not an envious record and nothing to be proud of. Looking back, I reasoned the problem lay in biting off way much, way too soon, after returning to the hobby from 30a year hiatus. I needed a project, built mostly OOB, and fight the temptation of getting lost in the world of AM accessories. My goal, complete the group build to the best of my abilities. What better kit then the awesome Tamiya P-51D Mustang. Rules I can live with. As soon as I saw Eagle Cal was releasing decals for Big Beautiful Doll, I was hooked and knew where I wanted to go. Step one would be the front office and the only add-on would be using RB Productions American WWII Seat Belt Set and Barracuda’s Decal cockpit Stencils and Placards . 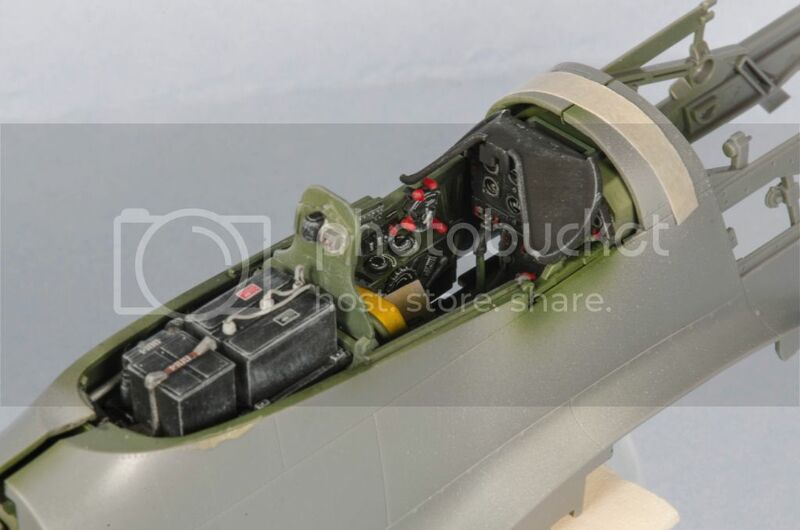 A few questions needed to be answered as to the variant that best represented BBD as offered in the kit and after posting, I decided to follow Ron’s advice and Thierry listed the easy changes that would be done, to get my ‘Stang close. 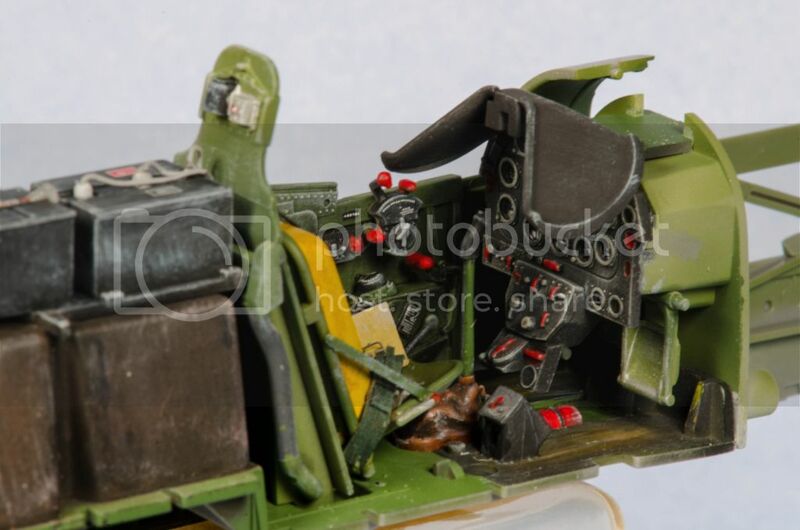 I also had questions on cockpit colors, especially the floor and Jerry jumped right to the rescue. Thank’s guys! Progress on the front office has been slow as there is a lot of assembly and detail painting needing to be done. Not wanting to get lost on detailing and following rule 1, I kept to the kit, or at least I tried to. 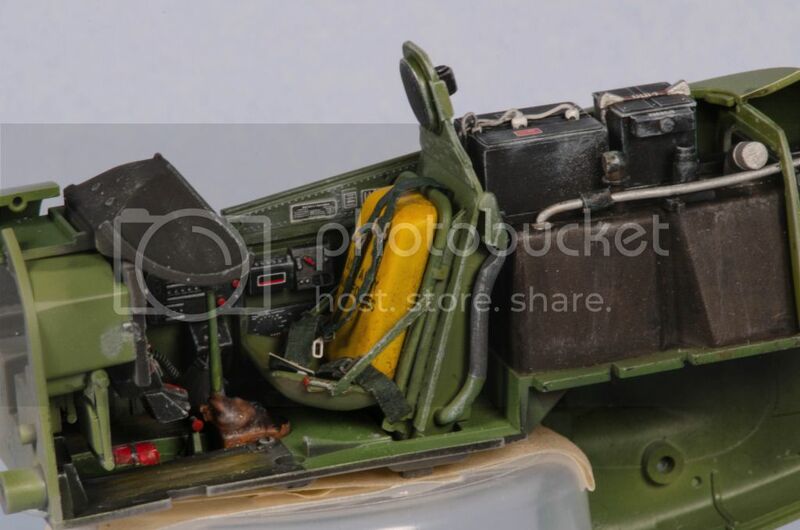 Using Jerry’s cockpit as a guide, I added a few extra details that would easily been seen, but nothing more. 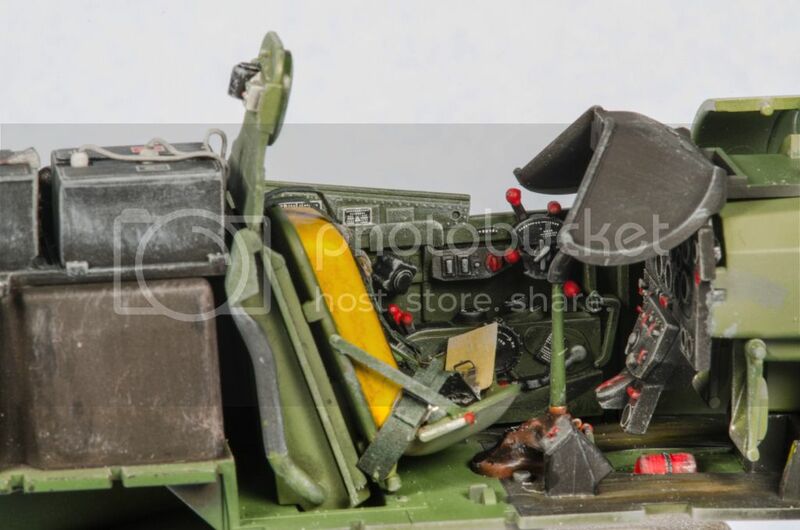 So here we go …………………..
First up is the center cockpit: floor boards, seats assembly, instrument panel, the radio, battery and fuel cells behind the armor plating. 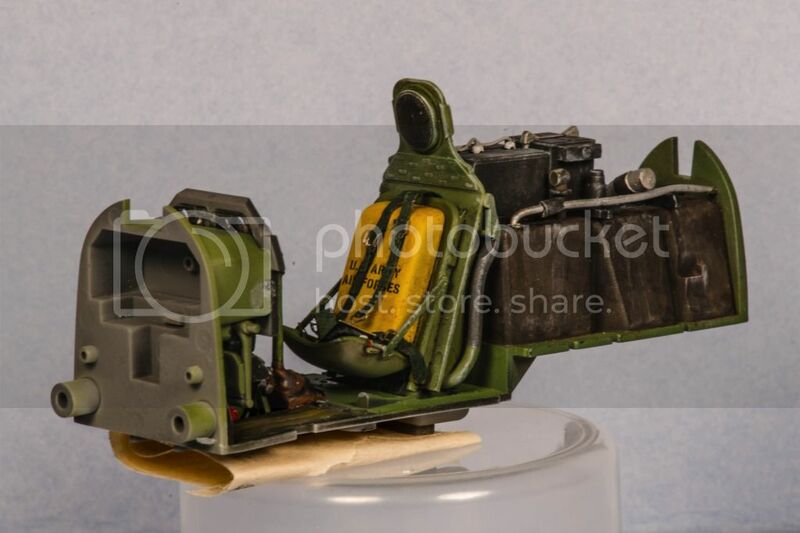 Built mainly as per the kit instructions with a few small details added: fuel line and electric lines from the battery, to fill up a very visible area. I used Jerry Rutman’s cockpit as my basic painting guide and followed my normal weathering procedure: Used but not Abused. All paints are Model Master Acrylics and all washes are Windsor & Newton Lamp Black and or Burnt Umber oils. Dry brushing was done with Apple Barrel Acrylics. It’s hard to believe how many hours went into this small area but Tamiya provided a wonderful front office with tons of details. 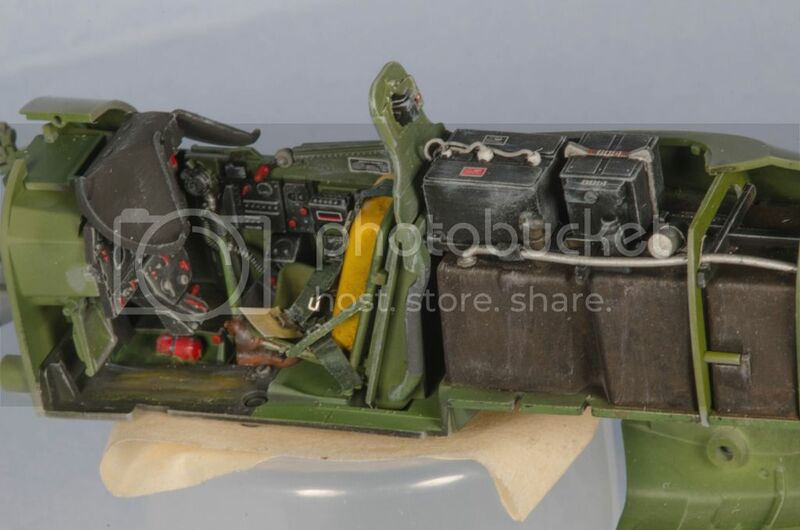 Interior Green was hand mixed and is a bit lighter until the washes went on. 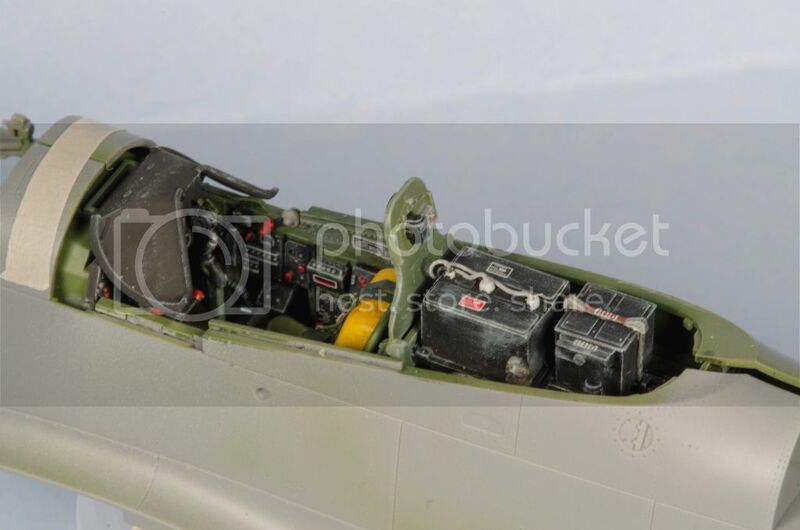 My Barracuda Cockpit stencils and placards should arrive on Friday or Saturday and I’ll add them to complete the assembly. Next up; both cockpit sidewalls. I notice the interior green came out too light in the photos and a lot of the weather was gone. 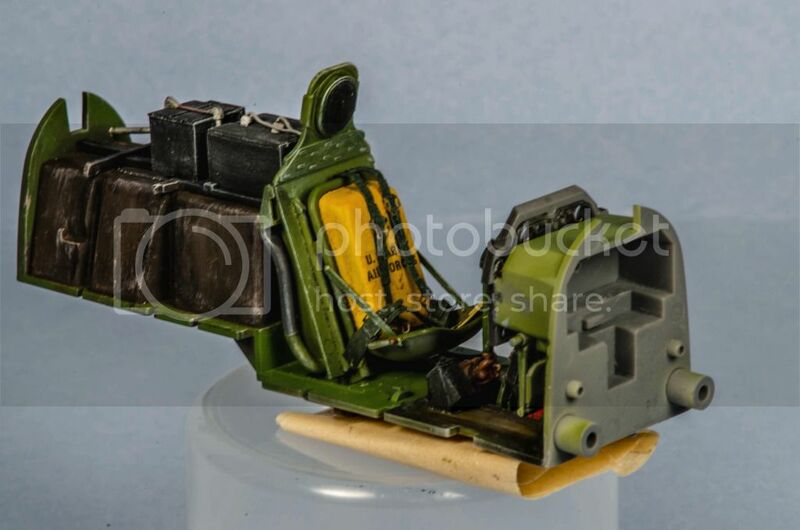 I re-worked one photo, paying more attention to the correct interior green color and the weathering. Hope this one is a bit better. Hey enough of this great build - what happened to the Jug ? Shame on me. I got sidetracked in other projects and then with the P-51 build extended, I had to jump in. The Jug sits at the bench and I promised her, she's next to be finished. Thats it with the jug - always the bridesmaid to her prettier cousin - give the the fun sister any day! I have to admit I discovered I’m a great starter and horrible finisher these days. I'll watch you on this one! Nice start and a great looking pit, Peter! Nice photos too! All the photos were taken with a Nikkor 105 F2.8 micro lens, shot in RAW and processed in Lightroom 4 Beta. Thanks for the pep talk ... Would love to see you work your magic on Tamiya's Mustang. The Jug is sitting right next to me ... Oh the guilt! Impressed doesn't even come close to the fidelity and detail Tamiya has engineered into the Mustang. After finishing up the center section of the front office, it was time to turn my attention to both side walls. All the parts fell together beautifully. 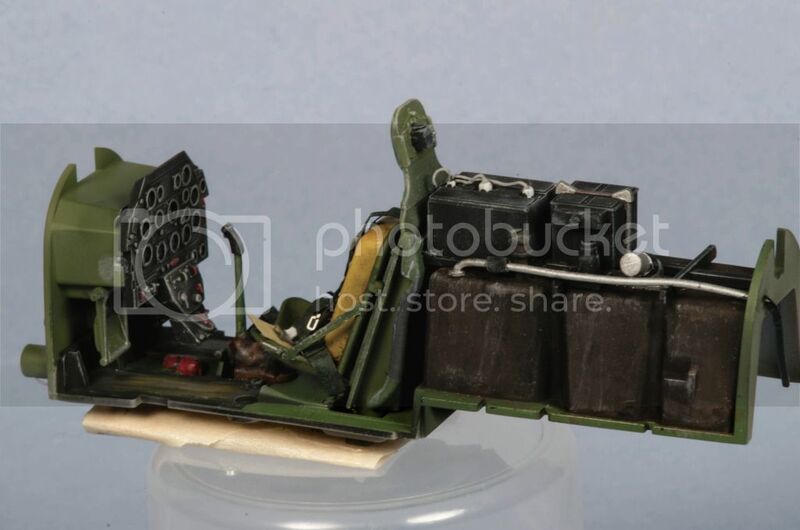 For my painting guide, I followed Jerry’s Mustang cockpit build. I did notice a few goodies and bit and pieces were missing, all added from strip and sheet plastic. The 7th Cavalry arrived Friday afternoon, as my Barracuda Stencil and Decal sheet was in the mailbox. Gorgeous! What I thought would be a few hours turned into a five hour marathon but the front office is now done, except for the gun sight. Next up: Radiator/oil cooling ducting assemblies. Coming together nicely there Pete. Thanks Joe, we seem to be working about at the same pace at pretty much at the same stage. Always nice to compare builds while they are going on. 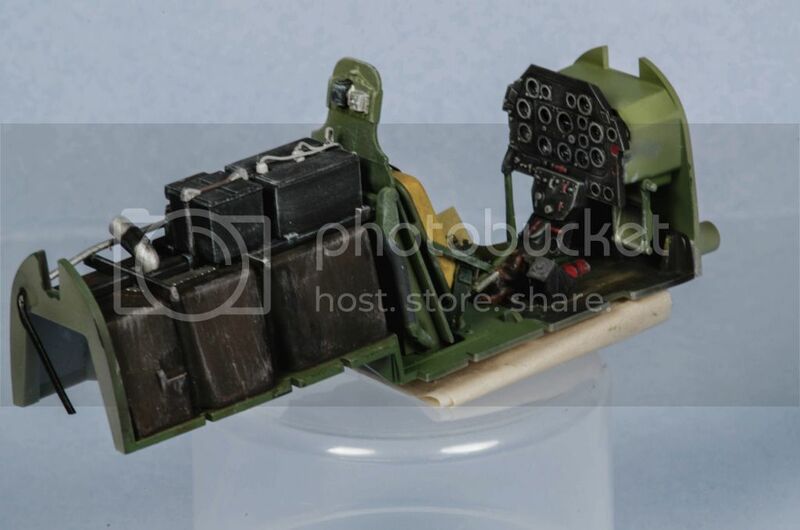 I REALLY like the way the Tamiya cockpit looks assembled, and yours is no exception Pete.......looks awesome. I got a set of custom masks from Ian @ Ad Astra but I think the AD will have to be up next before a 51. Great job...........gonna be cool to see some color on it.